Some yogurt makers pasteurize their product to improve shelf life in the market. This heat kills the cultures. Some companies re-introduce cultures to replace the ones they killed in pasteurization! Other companies introduce additional cultures to their yogurt. We believe that the cultures that created the yogurt are the ones that are the healthiest for our customers and their families, and that is what you get in our products! These live and active cultures are Lactobacillus Bulgaricus, Streptococcus Thermophilis, Lactobacillus Acidophilus and Bifidus. Each has a role to play in the making of our premium yogurt, and each plays a part in the health benefits of eating our products. All our yogurt products naturally contain the four major cultures necessary for the greatest health benefits: L. Acidophilus, Bifidus, S. Thermophilus and L. Bulgaricus. 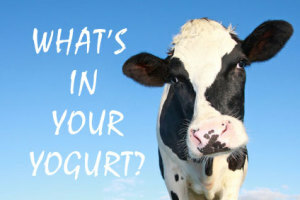 Sunrise Farms has been producing high-quality yogurts,spreads and cheeses since 1976. But the experience needed to produce premium cultured dairy products of this caliber has been accumulated over more than 40 years. Kevin Johnston has brought all of his background in research, product development and manufacturing to Sunrise Farms’ product line. Today, with his son Michael supervising the production, they continue to make the finest quality yogurt products available.In addition to a line of yogurt-based products, Sunrise Farms packages shelf-stable products such as syrups, relishes and glazes which are sold under a number of private labels. Sugar-free syrup was first developed and packaged by Sunrise Farms for one of their private label customers.With growing interest in the therapeutic and nutritional value of cultured dairy products, Sunrise Farms will be marketing a greater variety of yogurt-derived spreads and cheeses, both plain and flavored with herbs and vegetables. These products are lower in calories and fat than other spreads and cheeses! 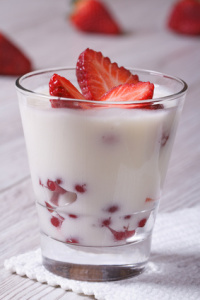 They have all of the health benefits of naturally-made yogurt, and are a tasty topping for a cracker or a flavorful addition to a favorite recipe. Look for the Sunrise Farms label in the gourmet deli-dairy case! In the 1960’s, Kevin Johnston joined Colombo, Inc. and learned the yogurt-making business on their production line. By 1976, Kevin was their Vice President of Operations, and had seen the company grow from $500,000 in yearly sales to $20 million per year. Kevin was instrumental in bringing their first yogurt containing fruit to market for the company. small cultured products laboratory that developed new products and recipes for his clients. He produced the first yogurt drink commercially available in the US in the early 1990’s. 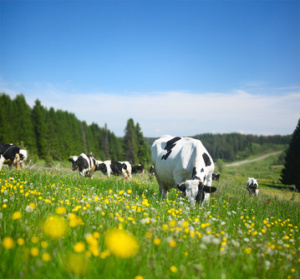 He has been a member of the American Cultured Dairy Product Association, the Milk Industry Foundation, and the Massachusetts Dairy Technology Club. In 1976, Kevin founded Sunrise Farms, in order to use the knowledge and experience gained from years in this industry to produce the natural yogurt products that he knows are the best available…products that start with the finest ingredients, that are processed naturally, that are not subjected to excessive heat during production, and do not contain fillers or other additives found in lesser brands. Sunrise Farms products are the ones you want to serve to your family!